Pretty much every survival expert and guru out there agrees on the importance of building a stockpile of supplies that you can count on when an emergency occurs. While the contents of that stockpile may vary a bit from expert to expert, the general idea doesn’t. You can even find many of the same priorities listed as you look at different people’s lists, with food and water being right up there at the top. How much you should stockpile is another question that remains open for debate. 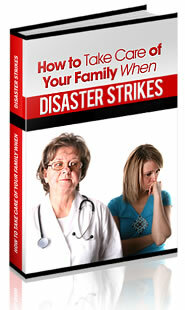 A lot depends on what types of disasters you are preparing for. If you are not expecting to deal with anything more than a hurricane, then a couple of months worth of supplies should be enough. But if you are expecting an TEOTWAWKI event, then you’ll want to start with a minimum of a year’s worth of supplies and go up from there. Of course, building a stockpile of a year’s worth of supplies is a major undertaking. Not only are we talking about a lot of time, effort and storage space, but there’s a huge cost involved as well. Few of us can actually reach into our bank accounts and pull out enough money to buy the food we eat in a year, let alone other supplies. According to the U.S. Bureau of Labor Statistics, the average American spends $302 (per person) per year on food, just about evenly split between the grocery store and restaurants. Clearly, trying to buy that much food for your stockpile would be a problem, especially if you were buying as you normally do. So, how can you build a stockpile, without spending all that money? There are actually a lot of things you can do, especially if you plan out your purchases and buy wisely. Let’s look at some possibilities. Before buying anything, plan out what you want to buy. You want to be able to buy deliberately, rather than buying things on whim, just because you see them. That means knowing things like what you are going to eat and what you are going to use. One of the best ways to plan your food budget for an emergency is to start out with a two or three week menu. Figure out exactly what your family is going to eat for every meal, including snacks. Remember, this is a survival menu, so you need to plan based on foods that you can stockpile, which will keep well over a long period of time. That means it will probably be include a lot of foods that you don’t normally eat. Another thing to figure into your survival menu is the number of calories per day your family members are going to eat. Typically, we Americans eat more than we need to, which explains why so much of our population is overweight. Base your menu on 2,000 calories per person per day, not what you are used to eating. Finally, create a shopping list, based upon the menu you have created. Calculate the exact quantities of each item that you’ll need, based upon how long you are planning on your stockpile feeding your family. That will tell you what you need to buy. We are used to eating a lot of foods that are not necessarily the best possible choices. The typical family eats a lot of junk food, a lot of fats and a lot of sugars, as well as eating more meat than we need. Your menu will help you to avoid that, sticking to things which will give your family the nutrition that it needs, without a lot of waste. You can save a lot of money by the choices you make; not just what foods you decide to buy, but the brands you decide to buy and where you buy them from. Some foods, especially survival foods, are cheaper when you buy them online, than when you buy them locally. Speaking of survival foods, buying pre-packaged survival foods is extremely expensive. You are essentially paying the company to package the same foods into meals that you can buy in the grocery store. In most cases, it makes more sense to avoid those pre-packaged foods and buy normal food, packaging it for long-term storage yourself. The exception to this is in the case of foods that these companies produce, which aren’t available through other means. Freeze-dried meats and textured vegetable protein (TVP) aren’t things you can find at your corner grocery store. So, you might want to buy those items from a survival food company. But if you do, buy it direct, rather than buying it through a middle-man. Like many people, I’m a big fan of sales. Much of our survival stockpile has been bought on sale at one time or another. We are patient and willing to wait until things that we need go on sale. Then, we buy a large quantity of it, enough for several months or even a year’s worth of our survival stockpile. Let me give you an example. One of the things we are always looking for sales on is canned meat. Meat is one of the most expensive food items and canned meat isn’t all that much better. But canned meat will last for years and years, like any other canned food. So, it’s a clear winner for our survival stockpile. Last year, there was a sale on canned chicken at our local Wal-Mart store. The chicken was packed in 12.5 oz. cans and further packaged as two cans together, for $1.95. That’s less than half the normal price of canned chicken. My wife was the one who found the sale and she came home with 144 cans of chicken in the car. While that wasn’t what she had gone to Wal-Mart looking for, she took advantage of the situation. In order to be able to take advantage of these sorts of situations, you need to have the cash on hand or in the bank to buy when the sales are on. We accomplish this by having a prepping food fund, which is not used for anything else. We put money from our budget in it and leave it there until we find a good deal. That way, we save a bundle. Some items, like rice and beans probably never go on sale. But you can still save a bundle on them, by buying them in bulk. If you are going to need 100 pounds of rice as part of your stockpile, then it makes a whole lot more sense buying two 50 pound bags, then it does to buy 100 one pound bags. If you compare prices, you’ll save a bundle. We wanted about 150 pounds of salt for our stockpile. Not so much to use for flavoring our food, but to have on hand for preserving meat. Rather than buying salt in the normal one pound containers, my wife was able to buy it in 25 pound bags. Compared to buying the one pound containers, we saved over 80 percent on our salt. Sam’s Club and Costco are great places for buying in bulk, both of them offering great prices on some items, just for being in bigger packages. But don’t automatically assume that their prices are better. While some things are priced great, not everything gives you the same discount. Those aren’t the only “wholesale” places which offer good prices on bulk foods either. Check with restaurant supply houses. They can often give you even better prices, but will only be interested in doing business with you if you are placing a large order. Once again, saving up your money to make a large purchase pays off. Coupons are great; but few people actually bother with them. When my wife and I were first married, the local grocery store had a triple-coupon sale. She scoured every newspaper and magazine she could find, looking for coupons. Then off she went, taking our old, full-sized boat of a station wagon with her. When she came back, she had the entire back of that station wagon filled with food. By the time she had run through the coupons, she spent a grand total of $7.50. Granted, sales like that don’t come around every day, but they do come around. Some grocery stores are starting to do double coupon sales again, so keep your eyes open. Coupons are especially good for pre-packaged foods, like the kinds of one-pan pasta meals that you just add meat to. They’re also great for personal care products. So what if the soap that you have a coupon for isn’t your favorite brand, you’ll at least have soap. You can probably stock up everything you need to keep your home and family clean, at a sizeable discount, by using coupons. You’d be amazed at the survival supplies you can find at a garage sale. Need camping equipment for a bug out? Check garage sales. You may not find the exact model you want, but I bet you’ll find something usable. Another useful item you can find at garage sales is bicycles. They make great alternative transportation. One of my favorite survival supplies to look for at garage sales is candles. Buying new candles is rather expensive. But the going rate at garage sales seems to be a quarter. I can take those candles home, bust them up, melt them down, and pour them into spaghetti sauce jars, to make myself some great survival candles. One secret with this is to put four wicks in the candle, so that it will burn four times as bright. Don’t just think of what you’re used to using. Be creative. Figure out ways to repurpose things. You’d be amazed at the amount of money you can save, by repurposing existing items; either your own or that you get from others. Two of the best solar cookers around are actually made from recycled trash. The parabolic cooker is actually an old satellite TV antenna, which has been coated with aluminum foil to make it reflective. The pot is then placed where the antenna’s receiver was, so that the sun’s rays can be focused on it. Another great solar cooker is made from a large Fresnel lens. You can scavenge these lenses out of the old type big screen televisions that existed before the flat panel ones. They are right behind the glass. Just put it in a frame, and you’ve got a great solar magnifying cooker. If you’ve got to bring water to your house from a local pond, stream or canal, you’ve got another great opportunity for repurposing. Find a bike trailer or the type of stroller that joggers use. Either one will work great for hauling a couple of five-gallon buckets of water at a time. Don’t limit yourself to looking at stores and online stores. There are a lot of things you can save money on, if you’re willing to invest a little sweat equity. Take firewood for example. Most preppers are planning on heating their homes with wood, if a disaster happens and they can’t heat their homes the normal way. That’s great, but it takes a lot of wood. You should never have to buy firewood for heating your home. There is firewood all around you. All you need to do is find it and get permission to take it away. Look for people who have dead trees and offer to cut them down for them. For that matter, if you see a pile of branches by the sidewalk, waiting for the trash to pick them up, ask if you can haul them off. Most people won’t mind. When a heavy storm happens, ride around in your truck, with your chainsaw, looking for branches that have fallen in people’s front yards. Offer to cut them up and haul them away. They’ll probably want to pay you; but even if they don’t, you’ll have the free firewood. These are just a few ideas for coming up with only one survival supply. There are literally dozens of ways that you can get things you need, without having to pay a penny for them. Put your imagination to work and figure out how someone else’s trash, can become your treasure.